LOS ANGELES – The Clippers sent a clear message to the Mavericks in their 120-100 thrashing of one of the Western Conference’s best teams on Saturday. Los Angeles has fed off the minnows of the NBA for most of the season, but when it comes to the big fish of basketball, the Clippers have struggled. Entering the game, they were 7-9 against teams with a .500 record or better and the Mavericks proved to be a great measuring stick. Jamal Crawford had 19 points, Matt Barnes added 18 points, J.J. Redick scored 16 and DeAndre Jordan finished with 13 points and 15 rebounds as the balanced Clippers attack saw six players score in double figures. Chris Paul had 17 points and 13 assists against new Dallas point guard Rajon Rondo, who was making his Los Angeles debut as a member of the Mavericks. Before the game, the matchup was touted as a showcase of two of the NBA’s best point guards. Paul held Rondo to two points and eight assists as the former Doc Rivers protégé shot 1-11 from the field. “I don’t know if we flustered Rondo or what, he just didn’t make shots tonight,” said Clippers head coach Doc Rivers. The majority of the game was officiated by just two referees after 63-year-old Joey Crawford was injured running the length of the court in the second quarter. The Clippers stole the season series from the Mavericks 3-1 last season, but were trailing by double-digits in every game. Los Angeles made sure that they were the team playing from ahead as they lead the game start to finish. Los Angeles was up 16 points going into the third quarter when Mavericks head coach Rich Carlisle was ejected from the game for after arguing a foul on Tyson Chandler. 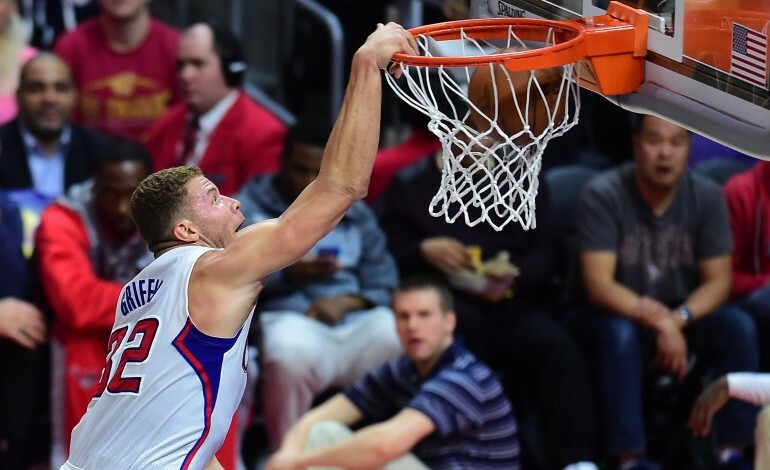 The Clippers coasted the rest of the way from there for their best win of the season. Dirk Nowitzki had 25 points to lead Dallas and Monta Ellis had 23 points and 4 three-pointers. “Defensively we weren’t good enough today. We gave up 120. We gave up 30-point quarters. We just put too much pressure on the offense to score every time,” said Nowitzki. The Clippers shot an impressive 53 percent from the field compared to the Mavericks 43 percent. Los Angeles was also hot from beyond the arc shooting 12-28 from three. The Clippers are now 23-4 when JJ Redick scores 10 or more points in the first quarter. Before today, the last six games between the two teams have been decided by seven points or less. The Mavericks narrowly avoided their worst loss of the season, and have now lost back-to back games for just the third time.